Just released the other day, amazing fans and maniacs for that super high quality sound, in New York on July 18th from the 25th anniversary tour of the 1989 group, Buffalo followed the Rich Stadium performance version “Tommy Revisited” JEMS’s DAT master sound series second volume. 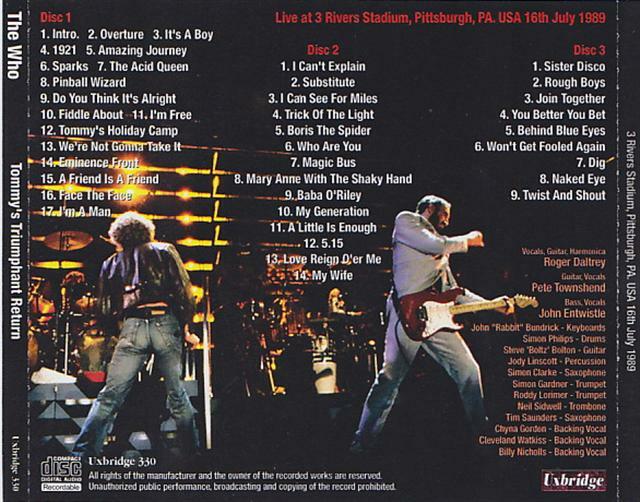 This time, we played the 3 Rivers stadium performance of Pittsburgh on July 16, which is the previous show of the North American Tour 15 performances, the previous show of the Rich Stadium performance, this also over 3 hours and 10 minutes with the super high sound quality audience recording of anger Completely recorded. Like the previous work, the DAT recording which is said to be very unusual as this era has been done, and the ultra high quality sound which makes a line with the conventional cassette recording is overwhelming to think that “it is amazing to this far” It is a level, it can be declared that it is a large special sound source that we want you to obtain by all means as a best sample of the initial DAT recording also to the recording manians as well as the WHO collector. Although the official DVD and CD were released on the 1989 tour on the theme of resurrection of “Tommy”, not only the first half “Tommy” part but also the second half angry “best of foo” part, Listening place, listening is perfect, it can not be covered with just the official alone, you can enjoy plenty of live at the full scale 1989 tour with the best sound. Sound image of the masterpiece, which makes me think again that the expression “Ultra Clear” will be used when referring to such sound. The sense of stability is outstanding. Each part of the sound shines like a jewel, the sense of separation of each instrument is also preeminent, there is also a moderate presence feeling full of moods there, so it can not be believed truly from every aspect You can enjoy the sound of. 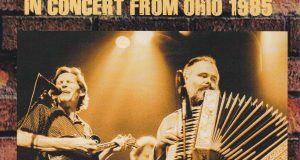 It was a 1989 tour that took place in a large-scale set led by a large group of 15 members, including horn section, together with support members, but among gorgeous sound images, it was also different from the recent WHO live You can feel the wonderfulness of the musical performance at various places and you can feel the charm of live at this time again in real. ★ It is a review summary of beatleg magazine vol.128 (March 2011 issue). For your information. 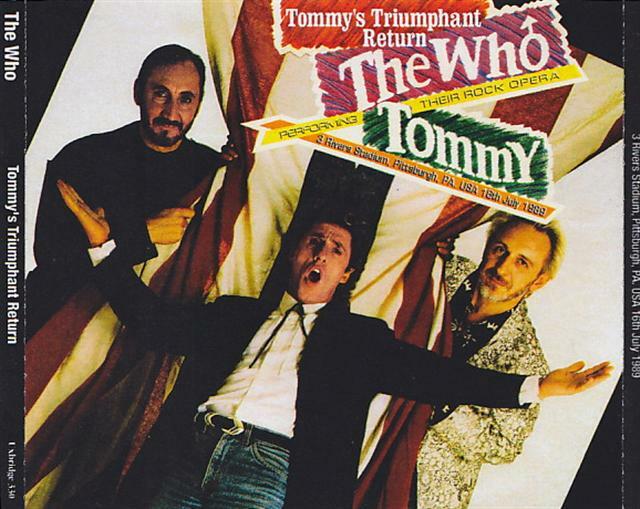 The tour which took place in members of a large household mainly in the American big city performance that became a topic with the bubbly era by playing “Tommy” along with the reunion of The Who in 1989 is still going to be memorable for a long time Although it was, 22 years have already passed. 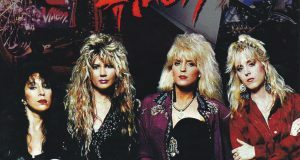 However, an amazing source by the JEMS Master was discovered and this item was released as it was recorded on the CD – R. The passion for recording of Mr. recording that I recorded without having to survive the show of about 3 hours in Pittsburgh performance on July 16, 1989 was transmitted first, in 1989 it was still expensive and had only a short time battery In the era where it would have never been recorded, it was recording at DAT, and it is wonderful that I recorded soundly without any breaks. Furthermore, it is recorded not only by it but also the super high clear sound which can be said to be the highest peak even including the quality of the essential recording source including this until now also, and the live DVD released officially Very different venue recording Masterpiece suitable for words with perfection that unique psychic power and presence are transmitted to every corner. And while the live of The Who was also in many cities at this time, I did not spend so much time on the “Tommy” section, I just set it in compactly and compactly at the beginning, I think that it was also a big pleasure, but it also became aware of the advertising new song of Pete’s solo work “Iron Man” and the introduction of the work in The Fu name in it. So I was surprised by this great house because I was surprised by the set list after the culmination live which can also be said to be the best of the sau fu, “I Can See For Miles” and “Mary Ann With The Shaky Hand “is something you can listen to. Moreover, it is also the real pleasures unique to this tour that all songs are full of orchestra loading, and it is really good to be able to listen to such a show with the high quality sound so far. A masterpiece item that can not find the reason not to listen no matter where it is, the overwhelming sound quality and balance and the power and historical value of the live of The Who. ★ In 2011 it was released for 20 sets only, and the name sound source title that gained popularity from fans and media has been re-released for the first time in seven years.